A mistake followers of Aristotle or St. Thomas Aquinas would not make is to gather round a man about to die, a man who is lying on a sophisticated scale, calibrated to measure weight to the fraction of a fraction of an ounce, and make note of the precise weight while the man still breathes, and then jot it down again after the man has gone off to his reward. The reason for this elaborate experiment, which has been tried, is to measure the weight of the human soul. Before and after, you see. If either Mr A were resurrected today and witnessed this experiment, or another of many similar designed to catch the moment the soul “escapes” its mortal frame, their reaction would be, in modern parlance, face palms. “Can’t read plain Latin” is what Aquinas would mumble. What Aristotle would say cannot be here recorded, since this is a family blog, but it would not be flattering. New Atheists appear to have learned their theology, in particular their Christianity, from Hollywood movies. Cinema often shows souls to be wispy material forms; therefore, the New Atheists suspects that is what theologians believe souls are. But since New Atheists are nothing if not scientific, they seek out additional evidence to verify this hypothesis. This evidence usually consists of asking some sad person who just sent a check to a televangelist, “Do you believe souls are material things, like we saw in these movies?” The sad person will say yes, and the New Atheist will rest content, his hypothesis confirmed. The story is made complete when the New Atheist writes a book in which he sneers and rails at theists’ foolish conception of the soul. Neurology says no soul! The soul is not scientific! He will give a speech to an audience well satisfied with their brilliance and ability to understand the speech, in which he says, “The soul is ectoplasm festishism!” A question will come from the audience, “But sir, what you say is not what theologians believe. The Catholic Church, for example, claims the soul is not material.” The New Atheist will scoff and say, “I will not answer you, you poor pastafarian, because your bible preaches genocide!” Applause, derisive laughter, indexes of self esteem soar. Sigh. The inability of the New Atheist to focus on what the theologian actually claims about the soul is astonishing. A Dawkins or Dennett will at least try and answer arguments about the existence of God, but he dismisses all arguments about the soul out of hand. “The soul cannot exist, therefore it does not exist” is his only argument, and, boy, does he cherish it. The soul is not material. It does not have weight. It does not have color. It doesn’t smell or make noise. It cannot be felt. It cannot be seen, but it is not invisible. It cannot be seen because it isn’t a physical substance. Now, if you were a New Atheist and you heard all this, and your only retort was, “Ectoplasm!” we would be right to question your sanity or your intelligence. not mean that when your favorite fern or dog dies, its soul goes to heaven. It doesn’t go anywhere but out of existence, since like the forms of rocks and tables, the forms of plants and non-human animals are mere abstractions considered by themselves, and have no reality apart from the particular material things they are forms of. Though there’s lots of interesting things to say about forms, essences, and the like, and Feser devotes much space to these topics, how banal is this definition of a soul? Not much mysterious here; certainly, nothing that is filmable or would cause impassioned opposition. Uh oh. There it is. You noticed, didn’t you? Free will. Oh dear, having a rational soul implies free will, or is it having free will implies having a rational soul? But aren’t we made of meat, mere computing machines, just connections of neurons firing at times fully determined by chemical formula? No. Consider first that when we grasp the nature, essence, or form of a thing, it is necessarily one and the same form, nature, or essence that exists both in the thing and in the intellect. The form of triangularity that exists in our minds when we think about triangles is the same form that exists in actual triangles themselves; the form of “dogness” that exists in our minds when we think about dogs is the same form that exists in actual dogs; and so forth. If this weren’t the case, then we just wouldn’t really be thinking about triangles, dogs, and the like, since to think about these things requires grasping what they are, and what they are is determined by their essence or form. But now suppose that the intellect is a material thing—some part of the brain, or whatever. Then for the form to exist in the intellect is for the form to exist in a certain material thing. But for a form to exist in a material thing is just for that material thing to be the kind of thing the form is a form of; for example, for the form of “dogness” to exist in a certain parcel of matter is just for that parcel of matter to be a dog. And in that case, if your intellect was just the same thing as some part of your brain, it follows that that part of your brain would become a dog whenever you thought about dogs. “But that’s absurd!” you say. Of course it is; that’s the point. Assuming that the intellect is material leads to such absurdity; hence the intellect is not material. The soul of a human must therefore be present at conception. Yet when the body returns to dust, the form of the body, i.e. the soul, carries on. (Awaiting resurrection of the body, say Christians.) Given that the soul “functions and thus exists independently of matter, it cannot possibly have been generated by purely material processes. And so a complete explanation of it in evolutionary theory is completely irrelevant.” Sorry, Richard. Since [the soul] is the form of a rational animal, the matter a rational soul informs must be complex enough to sustain those material operations that it relies on in an indirect way, such as sensation. In principle, evolutionary theory could explain how living things got to such a level of complexity that it was possible for animal to exist which was capable of having a rational soul. But the actual existence of the rational soul itself would have to come from outside the evolutionary process. No surprise what this outside Agency is, either. The subtitle of Feser’s book is “A Refutation of the New Atheism.” Refute is a strong word, a “success word” as David Stove called it. It means to show definitively an argument is false, with no hope (as we have) of resurrection. The most prominent New Atheist argument is that theists are simpletons, believing only because they believe, folks with no familiarity with logic or science. Whatever one’s ultimate appraisal of these arguments, the New Atheists’s pretense that a religious view of the world can only ever be the result of wishful thinking rather than objective rational argumentation is thereby exposed as a falsehood, the product, if not of willful deception, at least of inexcusable ignorance of the views of the most significant religious thinkers…[E]ven if, per impossible, their atheism turned out to be correct, they would not have arrived at it by rational means, shamelessly caricaturing as they do the best arguments for the other side, when they are not ignoring them altogether. Now your task, dear reader, is if you are unhappy with the conclusion of Feser’s main argument is to find some small flaw in my explication of it, or to focus on some aside I made (like the last quotation), and act as if the mistake or detour is the main argument. I bet nobody will notice you failed to attend to the main point. [The soul] “leaves” only when the organism dies; and that means death, not severe brain damage, and not a person’s lapsing into a “persistence vegetative state.” Though a person might not be capable of exercising his rationality, it is there nonetheless in potentiality, since the soul—the form, nature, or essence of the living organism—is still there, and rationality is part of this form, nature, or essence. As Plato and Aristotle agree, for something to fail to instantiate a form or essence perfectly does not mean that it fails to instantiate it at all. Reminder We are all ladies and gentlemen here. “try and”? So, they successfully argued? From your tone I would guess you meant to say they “tried to” and failed. Sorry. Personal bug. OT for sure. Yes, but “snow is white” is a concept. Doesn’t this only make the soul a concept? Just another word like “smart” or “pretty” — an attribute with no real existence? Something that will disappear when you (or we) do? The soul of a human must therefore be present at conception. Yet when the body returns to dust, the form of the body, i.e. the soul, carries on. So “pretty” , “strong”, “kind” and other attributes must be present at conception? Where does this “present” at birth come from? If it is only a concept then, yes, it can live on in the memory of others. I don’t think Feser has succeeded in this. I am more inclined to see it as Dawkins, et al. and Feser, et al. went down different paths starting from two different places. Bad, blockquote! Bad! You’ve lost your tail! A button to insert these things would be nice. Sarcasm suits you badly. There is nothing wrong in mocking the most prominent, day-to-day definition of “soul” and the after life, while it is indeed pesky to be at some ivory tower demanding to be heard by the opponents using the same sort of rethorics commonly referred in the internetz as “trolling”. Of course what you deem as proof of theism as here described is at the same time a D-day for atheists. It means the total platonization of the soul and thus its actual absence from the world we live in. The following theater of war will be placed on why should ideas be viewed as immortal and why are they disconnected from empirical reality, and for that you will have to make a less facepalmish example than the dog one. We are at the crossroads between bowing down to this “thing of itself” and to accept that “dog” is a representation built by human beings with their very material brains. They insist on disproving the Easter Bunny. Not all, mind, but astonishingly many. notÂ mean that when your favorite fern or dog dies, its soul goes to heaven. It doesnâ€™t go anywhere but out of existence, since like the forms of rocks and tables, the forms of plants and non-human animals are mere abstractions considered by themselves, and have no reality apart from the particular material things they are forms of. Mm. I donâ€™t know. Consider that the form of inanimate things, lets say the form of a table relates quite differently to its particular material â€œthingâ€ then the form of a dog, since in the dog the form is not just the source of life like in a plant, but it is actively pursuing ends (doing dog stuff). If i decide to think about â€œdognessâ€ or â€œtablenessâ€, an abstraction will result, but I cannot put this abstraction back into existence! Or better, in the case of the table I probably can, but not when in comes to dogs. That’s an important difference. What does it mean? Well probably we have to discriminate between forms in re and forms post rem. Post rem we have the forms as abstractions, but in re the forms are certainly no abstractions when it comes to living things. So if a dog dies what happens? Itâ€™s form is separated from itâ€™s matter, but now it does not follow that it doesnâ€™t go anywhere since it is an abstraction, for in the dog itself it was certainly no abstraction. It means the total platonization of the soul and thus its actual absence from the world we live in. Hey, Luis. Hey. Your ignorance is showing. Please learn the difference between realism and moderate realism before embarrassing yourself further. Thanks. Also, I like how you never responded to my challenge in the last combox. Manly. I would argue you never could. The abstraction is your model. The table wasn’t the abstraction which only exists in your mind. Two distinct things. Hey, Luis. Hey. Your ignorance is showing. Nothing like a cogent argument to win the day. I recommend that you also do a bit of reading about Platonic realism and Aristotelian moderate realism. They’re very different. Suffice it to say that Luis’s objection attacks an irrelevant strawman, as usual. Itâ€™s form is separated from itâ€™s matter, but now it does not follow that it doesnâ€™t go anywhere since it is an abstraction, for in the dog itself it was certainly no abstraction. The soul of a dog contains no immaterial powers: everything that it is relies on matter. As a result, it doesn’t follow that it could survive on its own. When the matter vanishes, the soul vanishes. Now, you might take a Hindu perspective and argue that everything has an immortal soul, whether or not that conclusion can be reached by logic alone, but this is not a particularly popular view in the West. It also relies on Hindu theology instead of pure reasoning. I recommend that you also do a bit of reading about Platonic realism and Aristotelian moderate realism. I was referring to your manners. How would my readings improve them? This rejects the notion that we can grasp the true nature, essence, or form of a thing. Nothing exists both in the thing and the intellect. My question is: Why is this view implausible? If plausible, exactly why should it be rejected in favor of Feser’s views? Actually, Aquinas was not a Platonist, but an Aristotelian. So was Aristotle, now that I think on’t. â€œCanâ€™t read plain Latinâ€ is what Aquinas would mumble. I suspect he would shout it. The Latin word translated as “soul” is anima, which means “alive, animated,” and originally referred to breath. (*) So a soul is whatever a living thing has that a dead thing lacks. Hence, soul can be empirically verified. Is this X alive? The soul cannot be material because the matter of a recently dead petunia is identical to the matter of the recently living petunia. The living petunia acts while the dead one is only acted upon according to the laws of chemistry. The living petunia is a bag of chemicals, but it is not only a bag of chemicals; it is a bag of chemicals in motion. It grows and develops, maintains homeostasis, metabolizes, and reproduces; i.e., the four powers of the vegetative soul. (And from the fact of motion, etc.) A dead petunia simply decays, acted upon by bacteria, insects, wind and weather, oxidation and reduction, etc. to accept that â€œdogâ€ is a representation built by human beings with their very material brains. But the problem with nominalism is that it deprives Darwinian evolution of its proper object. If there are no species, but only representations constructed by human beings “for the sake of convenience, to a set of individuals closely resembling each other,” then what exactly is the “Origin of Species” trying to explain? And how is it that two human beings can look at Fido, Spot, and Rover and abstract the same form of doggishness. Why not abstract(*) from Fido, Spot, and a potted fern? There must be something in the concrete particulars in virtue of which they actually do resemble each other. IOW, there must be a “there” there to be abstracted (“pulled forth”). It is also useful regarding the immortality of the rational anima to realize that the imagination (which being material can be characterized as “brain states”) is distinct from the intellect (which being immaterial cannot be). Since the intellect abstracts from images (not only visual images) the act of conception is associated with the act of perception. Hence, when we think of triangularity, we inevitably imagine a triangle (or the word or sound “triangle”) and this sets up a neural pattern that we might detect with an fMRI. But no one can imagine a triangle. One imagines a particular triangle: scalene, equilateral, etc. Black lines on white; white lines on black. Etc. Imagination is of this or that; but the intellect abstracts from this or that. (*)soul as breath; abstract as manually pulling forth. Compared to the earthiness of Aquinas, the Dawkins, Carrolls, and others are raving spiritualists. My question is: Why is this view implausible? If plausible, exactly why should it be rejected in favor of Feserâ€™s views? It can’t be plausible. Where does Hawking get the idea that “in accord with observation” is not a model itself? Yet, if it was, then we’d be reduced to a vicious regress. 1. A is A according to model X. 2. Model X fits with observation model Y. 3. Observation model Y fits with model Z. And so on. However, if “in accord with observation” is not a model, but is instead a fact about reality, then he has essentially confirmed standard realism. This renders his “model-dependent realism” meaningless. As usual, Hawking bungles his philosophizing. Hence, soul can be empirically verified. Is this X alive? Therein lies another problem: What does “alive” really mean? That we can’t answer implies a hole in our understanding of life. The soul cannot be material because the matter of a recently dead petunia is identical to the matter of the recently living petunia. Maybe. Maybe not. How would you know? Maybe something material departed and so far is too small to detect? Maybe its material configuration has changed? In any case, unless you mean the “soul” is whatever it is that causes us to say “alive” couldn’t agree more. But otherwise, empirically verifying its existence is pretty much like saying goodness of taste is something that can be detected without asking someone or tasting ourselves. You also comment about “vicious regress”. I guess this is a turtles-all-the-way-down type criticism? All models start with assumptions. Like what the color red is or other fundamental observations of that nature. There are no models below the observations, that is, no turtles below that. (There is no guarantee we will all agree on the fundamental observations. But we happen??? to live in a universe where that does not seem to be much of an issue.) Was that the point you were trying to get across? How does that render the view implausible? All models start with assumptions. Like what the color red is or other fundamental observations of that nature. There are no models below the observations, that is, no turtles below that. That doesn’t work. Why should I accept observation as true? Perhaps I think that all observation is an illusion. I wouldn’t be the first. What then? “Observation” cannot be a stopping point unless you’re dealing in faith alone. We have to believe this much, and then everything falls into place! Maybe I’ll just say “God exists” and leave it at that, huh? There’s my starting assumption. Observation is either A) a model or B) an affirmation of standard realism. These are your only two options. If it’s a model, then you’ve successfully created a vicious regress. If it’s an affirmation of standard realism, then “model-dependent realism” collapses. Why should I accept observation as true? The quote from Hawking is whether the observation would have been predicted by the models. It doesn’t mean the observation is being modeled. The “reality” he uses is concerned with the circumstances relevant to the observation(s) — “cause” and all that — based on the assumption the observations are real. The quote from Hawking is whether the observation would have been predicted by the models. It doesnâ€™t mean the observation is being modeled. Yeah. I know. That’s the problem. Philosophical dunces like Hawking don’t realize when they’re engaging in circular reasoning, vicious regresses, question begging and so forth. The idea that the brain uses observation to build models is based on models through which we have observed that the brain uses observation to build models. This shows exactly nothing. Further, observation must be a model under this view. Either that, or you presuppose something beyond models–meaning that it’s totally inaccessible to science, and thus unfalsifiable/unverifiable. Hey, if you don’t accept my axiomatic God without question, the you’re in a pickle. You’re going to die before too long, vanish from existence, and all that you ever were will be annihilated during the heat death of the universe. You won’t even have the quasi-immortality of memory. If you ask me, that sounds a lot worse than having “nothing to get hung about”. As you can see, your pretty rhetoric doesn’t hold water. Pretty much what you’ve shown as well. I think Hawking has a point and you don’t. Dunce, eh? And you, of course, are quite the opposite. Your own observation I presume. Gotta agree with the pretty part but please elaborate on how the last sentence follows from if you don’t accept the reality of observation then nothing is real and how the preceding paragraph actually means anything relevant to it. There is no doubt that there are always gray areas – twilight – between day and night; so there are some things for which it is not clear that they possess a soul. For example, the inanimate form has the four generic powers of gravitation, electromagnetism, nuclear (strong), and radiative (weak) while the vegetative form (called “soul” because plants are considered alive) adds to these the powers of metabolism, homeostasis, growth and development, and reproduction, with the proviso that these are not things done to the body but things the body does. Could there be something whose form lies between the inanimate and the vegetative. perhaps lacking one or more of the vegetative powers? The lecturer has doctorates in both theology and physics. Re: observations. The historian John Lukacs has pointed out that “fact” is the participle of a verb: factum est, meaning “that which has the property of having been made/fabricated.” Facts have no meaning in themselves, but only in the context of some theory. He used the example: when did World War II begin? The usual answer, Sept. 1939, has an implicit theory/model that the European theater defines the war. The Pacific theater had started up several years before with the Japanese attack on China. And in a real sense, it was only a world war when Pearl Harbor/Singapore combined the European War with the Pacific War. So the fact of the matter depends on which of the three models you use. There is a theorem in logic that states that through any finite set of facts you can draw multiple theories, and what the facts mean depends on which theory you draw. It seems as if God has created a universe permeated with free will. I am free to choose between that and determinism and still remain consistent in my scientific beliefs. To have faith in free will is scientifically plausible. What more do I need? If I draw a triangle on a paper, then burn the paper, you claim the triangularity persists. Is “triangularity” therefore the soul of a triangle? If so, since all drawn triangles have triangularity, do they all share the one soul? Perhaps you define “triangularity” in the sense that no two triangles can have the same triangularity, in which case each is unique, and the term “triangularity” ceases to have meaning. All men have maleness, and all redheads have redheadedness, so do redheaded males have two souls? Perhaps a soul is a result of a set theory operation? Or maybe a soul is the human ability to rationally identify and assign features? I can write a program that rationally identifies redheaded males as well as any human, but I daresay this AI operation does not give it a human soul. Perhaps the software has just an itty bitty slice of a human soul? So as I add features, I’m adding more pieces of soul? Will I eventually get a whole human soul? I think we agree that humans have ability to categorize and communicate features of objects, but it would appear that your defense overreaches when you attempt treat those particular feature sets (including the capability to categorize) as something more than simply an arbitrary human convention. Pretty much what youâ€™ve shown as well. I think Hawking has a point and you donâ€™t. I think that you and Hawking don’t have a point and I do. How’s that? Another great argument. I’ve done a bit of reading. I don’t claim to be an expert. You seem to have mistaken my objection to bad logic as a kind of idealism, though. I happen to believe in observation, but only when it’s grounded in the three truly unquestionable axioms: the law of identity, the law of the excluded middle and the law of non-contradiction. Hawking is a devout follower of scientism, by the way–so it’s easy to poke holes in his idiotic pronouncements regarding philosophy. They’re already guaranteed to be circular, at the very least. Gotta agree with the pretty part but please elaborate on how the last sentence follows from if you donâ€™t accept the reality of observation then nothing is real and how the preceding paragraph actually means anything relevant to it. Your objection that doubting observation means that “nothing is real” is just empty rhetoric. This is what you’re using to establish your core axiom: an utterly hollow appeal to emotion. As I demonstrated, I can do the same thing with another arbitrary axiom–namely, the existence of God. If you’re just going to go around making things axiomatic without any logic to back it up, why stop there? I think the existence of a cheese sandwich on my kitchen table is an axiom. If it wasn’t, then I wouldn’t have a cheese sandwich, and that would be really depressing. Looks like a good enough reason to me. Working from the assumption that a cheese sandwich is always on my table, I can build an incredible scientific theory around its occasional invisibility after I eat it, and its mysterious reappearance when I make a new one and place it in the same location. I think I’ll label this and related phenomena “cheese sandwich dynamics”. After I convince people to accept my axiom, they’ll be blown away by my experimental data. The only thing I have to worry about is cooking up a good enough appeal to emotion to make my case. Is â€œtriangularityâ€ therefore the soul of a triangle? If triangles were alive, yes. Asking how the soul stands to the body is like asking how â€œthree sidedâ€ stands to â€œfigureâ€ in a triangle. If triangles were alive, â€œthree sidedâ€ would be their soul, for that is what makes it different from all other figures. All men have maleness, and all redheads have redheadedness, so do redheaded males have two souls? No, maleness and redheadedness are forms, but they are accidental forms; souls are substantive forms. Like the famous big blue bouncy ball, the forms of big, blue, and bouncy could change and the being would still be a ball. In fact, if the being were to lose all color, the ball would remain; but if ball were to disappear, there would be no blue left behind. Your objection that doubting observation means that â€œnothing is realâ€ is just empty rhetoric. Perhaps, but, if you don’t accept observation is true, how is it that you can claim I have an objection if you didn’t observe the reality of it? How do you know it’s not just something you imagined? If you can’t observe then how can you know anything is real and not imaginary? @Rank Sofist. What I would argue is that Form is not the same thing for a table and for a dog. Since in the dog the form organizes it’s matter, determines courses of action etc. Both the form of the table and of the dog are abstract models in my mind. But this just tells us that we don’t really know much about what the form of a dog really is in reality. Unless you think that the form of a dog is like a programme running on hardware. Perhaps, but, if you donâ€™t accept observation is true, how is it that you can claim I have an objection if you didnâ€™t observe the reality of it? How do you know itâ€™s not just something you imagined? If you canâ€™t observe then how can you know anything is real and not imaginary? I already told you that I accept observation. But I could also, without contradiction, believe that observation is illusory. This was largely the position endorsed by the Greek philosopher Parmenides, who was discussed in the previous combox in this series. I’m asking you to justify observation’s axiomatic status along Hawking’s lines; and, of course, you cannot do it. This says nothing about you and everything about scientism. Both the form of the table and of the dog are abstract models in my mind. They aren’t, under this system. They’re really present in your intellect. Denying this fact creates untold problems. Since in the dog the form organizes itâ€™s matter, determines courses of action etc. This is what happens with a table as well. Aquinas, following Aristotle, held that there were different types of forms. First, you had inanimate forms, used by minerals, chemicals and so forth. Second, you had souls–forms with “immanent causation”, by which they act toward their own “perfection”, so to speak. Souls, too, possess degrees: plant, animal and rational. Man-made objects like tables have a further type of form. It’s fairly complicated, as Briggs always points out, and so you shouldn’t expect your objections to stick. I already told you that I accept observation. But I could also, without contradiction, believe that observation is illusory. I’m not really sure how unless what you really mean is that what we think we observe is yet another model to explain the sensory inputs accompanying that which we think we’ve observed. Is that what you mean? If so, how is that different than what Hawking has said? Otherwise, are those inputs also illusory? yes, excellent! but the way they are present in my intellect differs from the way they are present in the object. not? “Soul” is a BS word invented to justify magical heaven BS. It’s all childish nonsense for gullible cowards. Aquinas, following Aristotle, held that there were different types of forms. First, you had inanimate forms, used by minerals, chemicals and so forth. Second, you had soulsâ€“forms with â€œimmanent causationâ€, by which they act toward their own â€œperfectionâ€, so to speak. Souls, too, possess degrees: plant, animal and rational. Man-made objects like tables have a further type of form. But how can you reconcile that with the below passage were forms of tables and animals are lumped together? How can â€œimmanent causationâ€ be reconciled with â€œgoing out of existenceâ€, if the causation depends on the form (soul)? I am not saying it will go to heaven off course, but I wonder why we should logically conclude that when a dog dies, itâ€™s soul goes nowhere â€œbut out of existenceâ€. …not mean that when your favorite fern or dog dies, its soul goes to heaven. It doesnâ€™t go anywhere but out of existence, since like the forms of rocks and tables, the forms of plants and non-human animals are mere abstractions considered by themselves, and have no reality apart from the particular material things they are forms of. Ha. Love it! I’ve known about the above ever since I can remember! Let me finish my Grandmaâ€™s explanations here. The soul carries onâ€¦ and begins new life in a new body. The theory of reincarnation explained! Itâ€™s a logical necessity to complete the explanations of soulsâ€™ whereabouts after leaving a body. Do Godâ€™s children enter soullessly into the kingdom of heaven? Do people in vegetative state have a soul? Fiction has to make sense, too. If I am reading you correctly, yes. The *same* form but in different modes of being. Using the Scholastic jargon, the object’s form, which insofar as it exists enmattered is particular and only potentially intelligible, comes to exist in the intellective soul as universal and actually intelligible. But this is only a small part of the story as it relates to Aquinas’ epistemology and theory of cognition. 1. The human soul cannot be reduced to the body. 2. The human intellective powers, distinct from the sensory powers common with all other animals, imply its non-materiality. 3. Non-materiality of the soul implies its subsistence. One more thing just to preempt one possible objection: the subsistence thesis for the soul poses a serious problem to the *unity* of a human being as a rational animal, opening the door to a pre-Cartesian identification of the human being composite with the human soul, which now is starting to llok very much alike Plato’s rather than Aristotle’s incorporeal, subsistent entity that is temporarily and rather casually associated with a body. Aquinas addresses repeatedly these questions, especially in Disputed Questions on the Soul. Since atm I am unable to summarize an answer I will leave it at that. So things that are “alive” have “souls”, but things that are not, have merely “form”. What is this definition of “alive”? Perhaps it is biological function? Do viruses have souls? What about inert viruses? Do these viruses’ souls cease to exist? What about prions? These only have some biological functions, but not others. Do prions only have half-souls? Like “alive”, a “soul” appears to be nothing more than a arbitrary descriptive feature set. It gets worse for “rational soul”. A fertilized human egg is not rational, neither is a brain-dead coma victim. Do these cases not (or no longer) have “rational souls”, and instead have some plant-like generic “soul”? Why should beings with these generic “souls” matter to those of us with “rational souls”? Can “souls” therefore upgrade or downgrade, and thus are mutable? If “souls” are mutable, can they cease to exist? A “rational soul” appears to be an arbitrary individual performance metric. Unfortunately, the mapping of your philosophy to the observable universe fails at these edge cases, which means it fails altogether as a general explanation. Iâ€™m not really sure how unless what you really mean is that what we think we observe is yet another model to explain the sensory inputs accompanying that which we think weâ€™ve observed. Is that what you mean? If so, how is that different than what Hawking has said? You need to realize that Hawking’s statement makes no sense. It’s circular, DAV. He is saying that the brain uses observation to build models, an idea based on models through which we have observed that the brain uses observation to build models. He explains observation with observation, which boils down to this: “Our brains create models out of observations because our brains create models out of observations.” It’s ridiculous, pathetic, sub-first-year philosophy class stuff. Hawking claims that there is no knowledge beyond the reach of science. But observation itself is not verifiable or falsifiable, and so he’s left with a dilemma. Either he commits himself to the position that observation is just a model, which is a vicious regress, or he affirms that scientism is false and standard realism is true. There’s a third option, too, I guess: using the circular explanation from before. None of these are acceptable for “model-dependent realism”, though. In your update, you have identified the error in your defense. Neither a dead body nor brain-dead person has the “potential” for rationality, any more than a blue ball will turn to goo. Thus by your own criteria, neither can have a “rational soul”. If you choose to expand the definition of “potentiality” to allow wishful thinking, then realize that every stem cell in your body has the “potential” to become a new person. Does this mean that Dr. Briggs is himself a legion of “rational souls”, based on this “potentiality”? By your own example, a “soul” is still simply a biological feature set, and a “rational soul” is still no more than a performance metric. The rubber ball has potential to turn to goo if something actual (and external) acts on it. The term “brain dead”, which you use glibly, is scarcely unambiguous. But the still-alive human who has brain damage has potential for rationality; for example, an actual cure for damage. Reading it now. Great book; I am enjoying the exposition of the Aristotelian-Thomas approach to arguing for God’s existence. Yes, it does contain sort of harsh language at times; funny coming from a professional philosopher, but I truly understand the frustration of hearing so many silly, trivial arguments bandied about via the popular press by these so-called genius atheists who mostly don’t know anything about the field of philosophy or the great arguments of Christian thinkers, theologians, and apologists. As John Lennox points out in his book, God and Stephen Hawking, even this superbly brilliant man, Steven Hawking, hasn’t a clue about what philosophy is about, sort of making a fool of himself in his latest book. And of course, read any talk about religion on the web, and hear about the Easter Bunny or Santa Claus or some other cliched nonsense by people who are not honest or careful thinkers. Activism 101: people who disagree with me are obviously ignorant. Sometimes people disagree with you not because they are fools, but because they have a different perspective. And sometimes it turns out they disagree with you because they areÂ betterÂ informed than you are. Sometimes people disagree with you not because they are fools, but because they have a different perspective. And sometimes it turns out they disagree with you because they are better informed than you are. Tom, what you’re engaging in is handwaving 101: pretend to make a point while not really making one. If you have something of substance to add, then let’s hear it. Rank sophist, I know enough to know that I know nothing. Do sausages have souls then? Did you take a class to learn how to write this sh@t? If possible, in your expanded response, please consider addressing how a persistently vegetative person, or a fertilized human egg in a petri dish each have “rational souls” based on “potentiality” (with or without an external actor, such as a clinician); while on the other hand, neither a separated pair of male/female human gametes in a petri dish, nor a human stem cell have “rational souls”, also based on the very same “potentiality”. Does a baby born with anencephaly (i.e., without developing a brain), and therefore with no potential for rationality, have a “rational soul”? Do you still maintain that there is “potentiality” for rationality without a brain? On what basis? Hope? Since you use the capacity for human rationality as the basis of your argument for a “rational soul”, you undermine your argument when that rationality does not and cannot exist in a particular human. You reasoning limits you to this choice: some humans have “rational souls” and some do not, or the attribute of rationality (and likely any human attribute) cannot be used a basis to demonstrate the existence of the soul. The “real” philosopher you quote, I quoted too, on the first part of this review. This “real” philosopher, who calls himself “Unpublishable”, did not seem to read past page 19 of Feser’s book, which is just where he finishes his historical review of Plato and Aristotle’s realism, but before discussing Aquinas’s, the view Feser actually endorses. Here’s more quotes from the (first) review you quoted. As part of the Goldberg tradition, a Goldberg variation if you will, Feser wants to convince you, dear wingnut reader, that it is really those liberal, atheist academics with their fancy degrees and awards and prizes who are actually stupid, whereas you, the semi-literate mouth-breather, are the true illuminated ones. The “Unpublishable” “real” philosopher goes on to complain that Feser’s book is polemical. No and no: it comes naturally. However, I recommend you attend one. Both have forms, but of different kinds. The table is an artifact and has an artificial form. There is nothing in the parts of a table – the wood, the nails, etc. – that come together by nature (lit. “by birth”). The form is imposed from outside the table itself. The dog otoh has a natural form and self-organizes from a single cell (a fertiled ovum) into a mature dog. Only recently have scientists begun to think in terms of the emergent properties and self-organizing systems of formal causation. Now, art imitates nature; but nature does not imitate art. What is artificial may be based on what is natural; but not vice versa. That’s why comparing the emergence of complex molecular structures to the assembly of a mouse trap makes no sense. So things that are â€œaliveâ€ have â€œsoulsâ€, but things that are not, have merely â€œformâ€. “Soul” is the specific term for a particular kind of form; viz., those of living things. Aristotle said that glass shatters because it has a brittle nature [form]. The revolutionaries mocked him for what they saw as circular. Nowadays we say that glass shatters because it has an amorphous molecular structure. The astute will recognize that this is the same statement, but with a more detailed description of the form. A thing gains its powers and attributes from its form, not its matter. Sodium and chlorine are both made of the same matter: protons, neutrons, and electrons. The same parts. What makes one a flammable metal and the other a poisonous gas is the number and arrangement of those parts, the “form” of the “matter.” Science studies trans-form-ations, as when the forms of sodium and chlorine are combined into the form of common salt, which has the emergent [formal] property of being edible. Animate forms are more complex and include powers of various kinds of self-motion. â€œThe soulâ€ is just the way in which we exist bodily. If there are no formally intelligible ways in which diverse beings exist, then there is no hope of science describing them intelligibly. Form just means â€œthe way a thing predictably acts by nature.â€ If there is no such thing as formâ€“â€“and form which orders a thing’s parts to its proper functionâ€“â€“then science has literally nothing to say about the world. What is this definition of â€œaliveâ€? Something which has at least the four powers of metabolism, growth/development, homeostasis, and reproduction emergent from their natures. It gets worse for â€œrational soulâ€. A fertilized human egg is not rational, neither is a brain-dead coma victim. If â€œsoulsâ€ are mutable, can they cease to exist? Actually, there are observations supporting the idea that people do indeed build world models based on what they are experiencing and act on them as real. However you want to consider this is fine but what Hawking has said in the quote I provided would account for it — circular reasoning or not. Frankly, what Hawking believes doesn’t concern me in the slightest nor do I care about his impetus for saying what he says. Apparently you do though. I’ll see if I can dig up the paper on the experiment. There are other experiments as well. There’s been an accident here that damaged my files so it may take some time. (1) We use observation to gain knowledge. (2) Scientific data (observation) shows that the brain uses observation to gain knowledge. (3) Therefore, we use observation to gain knowledge. (2) Biblical passages claim that the Bible is true. (3) Therefore, the Bible is true. You need third-party defenses for both observation and for the truth of the Bible, or you’re doomed to circularity. The basis of your argument is a presupposition of your conclusion. You canâ€™t observe observation to learn about observation if observation is the basis of your epistemology. Itâ€™s that simple. Why do you think I am trying to learn about observation? My take and reason for quoting was to show the context of Hawking’s use of the word. He indeed use it as a given in the quote. It was you who took the side-trip of trying to define then demolish it with what looked very much like a straw man argument. Hawking may or may not have concerned himself with learning about observation but that’s something that doesn’t interest me. The Hawking quote gives a good working definition of what people treat as “real” (and perhaps hypothesis for why). Everything else amounts to word games. 1) Hypothesis (likely based upon previous observations): people build world models based on sensory input and act on them as real. 2) Devise an experiment to test this. 3) Experiment results appear consistent with hypothesis. 4) Result: cannot reject the hypothesis. There may be more than one hypothesis. Scientific research can only reject hypotheses. No experiment can ever prove one. It’s not a philosophical endeavor. What people seem to do is more consistent with the idea of model-dependent realism whether you agree or not. Everything else amounts to word games. He moves his hands at incredible speeds. Are you joking? Seriously? You’ve done exactly what I was describing above: presupposed observation. Good work. Now I can see why you think Hawking had a point–you’re just as confused as he is. What is a hypothesis, DAV? It’s a theory based on observation. What is an experiment? An observation. Where is observation not presupposed, here? Yep. Never said I wasn’t. Trying to define it is your thing. That’s why I asked: “Why do you think I am trying to learn about observation?” Perhaps you missed the question (and the point). Your world line explanation is excellent. Thank you, sir. Iron sharpeneth iron gentlemen. Thank you, both. Yep. Never said I wasnâ€™t. Trying to define it is your thing. Thatâ€™s why I asked: â€œWhy do you think I am trying to learn about observation?â€ Perhaps you missed the question (and the point). You defended “model-dependent realism”. I showed that it couldn’t possibly be coherent–it presupposes observation as an objective truth beyond models and beyond science. You continued to defend Hawking’s idiocy. Now, after realizing that I’m right, you ignore the conclusion (namely, that Hawking must necessarily be wrong) and run off. A theory of knowledge can never start with the brain, since the brain itself is an object of study. You should ask yourself: what do we have available as a given before we have made any assertions about something. You will then see that we have observation and thought at the basis of all knowledge. It is interesting to ponder about the possibilities. When I see a flower I am informed of its presence. If something is blocking my vision I cannot see it. Seeing a flower already involves my deliberate action as a perceiver. When I open up my eyes, I am first confronted by a sea of impressions, then I single out something for a closer look. In thought it seems the other way around, concepts come one by one and organize themselves into a whole afterwards . What does this tell us about the brain? Well letâ€™s be bold. The eye is a receiver and needs our involvement to tune in on something. The brain is a blocker and we need to act on it to allow something to come through. So we donâ€™t think with our brains at all, it is a gate. My computer recognizes faces. I wrote the algorithm myself, from scratch. I know, for a fact, that the computer does not know what a face is despite being able to detect them reliably. My computer thinks about faces but does not grasp what they are. It has not captured the “essence” of face. If a machine is able to do this, then why not a person? Just because we humans may know what a triangle is doesn’t mean that another sentient being would understand, or relate to, our model of a triangle. Fesers argument about essence fails, as he is not able to reasonably prove such a thing exists. the soul resided in the human heart. This was neatly illustrated by the way of documentation in the days when human dissection, undertaken to further medical knowledge & science, was in the formative stages of losing taboo of cutting into human remains. At that time a father having lost a siamese twin daughter(s) was confronted with the Church’s unusual authorization to dissect the child to see if the body contained one or two hearts–hence one or two souls…hence one or two fees for one or two baptisms. The poor guy was made poorer by the finding of two hearts and thus he had to pay for two baptisms. No doubt the Church leaders were much more sophisticated than the commonfolk…and its a safe bet they saw enough to know what they’d find. With their enrichment at stake is it really all that surprising they made an exception to then-doctrine & then-policy to permit the violation of the sanctity of children’s remains? Just a thought there…part of a pattern involving money & who gets it. That bit of history, easily verified, happens to be mentioned on the last page or so of the Sep 2012 copy of Discover magazine (Discovery?…I read this in a waiting room today). So, for all the talk about the existance of the soul & so forth its at least comforting to know the Church settled its residence in the body to a specific organ very long ago. Right? Or, perhaps, this is one of those historical facts some of us, no doubt like the Church, would just rather pretend never was. That sure helps a model/construct hold its form. But all that soul-searching discourse still leaves a number of testable conundrums showing consistent repeatability: certain types of brain damage result in certain patterns of cognitive deficiencies nd personality changes. Consistently so. Age-related dementia reveals a pattern of personality change corresponding to particular types of brain damage. Those all far short of ‘persistent vegatative states’ but are also very consistent with the observation by others made elsewhere that such brain damage patterns are clear evidence of the “soul” departing in increments. Think about that while your brain is still fully functional! What is “observation” other than the acquisition of information? Sensory inputs are information? Yes? Are you claiming no one uses their senses? If not, how is any information acquired? I take it as a given that we acquire information for without it we seem stuck with only revelation. But, wait! That’s the acquisition of information. Hawking is saying that we use the information we have as a basis for distinguishing real from fantasy. We don’t “know” its real; we just accept it as such. Seems to me that is essentially what model-dependent realism is saying. Without information, all that follows is fantasy based upon belief. IOW: nothing is real. It doesn’t look like you are getting much in the way of direct answers to some of your questions. Maybe my understanding of Hawking’s use of the term “model” and “observation” may be of interest to you. I think that Hawking doesn’t try too hard to define precisely what these terms mean. Why? IMHO, for the same reason he could not define every word in a dictionary, some words–you just have to know what they mean. Then define the other words in terms of those undefined words. Hawking has better things to do than create dictionaries. Models are used to make hypotheses that can have predictions and therefore be used to design experiments. The results of experiments are called observations. The things that were predicted (or not). These are measurements. They are not models. They are (usually) reported using numbers and units. If you don’t know what 299,792,458 m/s is, as compared to Maxwell’s equations, well, it’s gonna be hard to explain. Hawking is a very creative guy. He uses observations abductively (not deductively) to come up with newer and better models of reality. Models that can be tested by experiment. There is no way to deduce a model from observations. After all, it’s making “sweeping generalizations”, a type of logical fallacy. It is going from the specific to the general. But, IMHO, it’s what Hawking means when he says “our brains interpret the input from our sensory organs by making a model of the outside world.” That “[t]hese mental concepts are the only reality we can know.” There is no way to make a prediction that can be experimentally falsified without a model. There is no way he can understand Nature without a model. I’ve always found it interesting that the scientific method uses a logical fallacy (actually two). But since no claim is ever made that accepted scientific theories are deductively true–they are just not yet false–it’s OK. It’s all a game for making predictions that turn out to be true. Observation is sensory input. Empiricists (and, subsequently, scientism-ists) believe that it’s the only “true” knowledge. Hard logical laws can’t be observed, so they’re tossed aside. By assuming that logical laws are part of observation, you’ve successfully begged the question against competing views–and misrepresented Hawking’s actual beliefs. Hawking’s “model-dependent realism” is a sham. He has no means of verifying or falsifying his method, and his “axiom” (assumption of observation’s truth) can be doubted without contradiction. He wants to have his cake and eat it, too: have his scientific objectivity while annihilating its possibility. It’s a position that rests on sand, circular logic and general incompetence. Keeping terms vague is really convenient, isn’t it? It makes it easier to pull the wool over the eyes of those less well-versed in philosophy. I doubt that Hawking had that in mind, though–he’s far too poor at logic. And, by the way, Hawking does attack other methods of knowledge. He says that “philosophy is dead” in the first few pages. He claims that science is the best and, basically, option. Could you tell me what work of his has got experimental confirmation? The singularity theorems? The four laws of black hole mechanics? The Bekenstein-Hawking radiation? The boundary-less universe models? Something else I am missing? The fundamental assumption of science is that the sole test of knowledge is experiment. The soul (anima) is the subsistent form of the human being. It is whatever a living thing has that a dead thing lacks. If you can distinguish a living body (which is in act, and hence has a form) from a corpse (which is simply a heap of chemicals acted upon) then you can grasp the quite earthy and empirical nature of being anima-ted. The soul is just the way in which we exist bodily, said the Codgitator. If there is no such thing as form ordering a thingâ€™s parts to its proper function, then science has literally nothing to say about the world. I’m not sure why you think there is no way in which we exist bodily. Unless you have taken those zombie games and movies too much to heart. Beyond that, to suppose that the Church acted contrary to its official theology sounds a might strange. I know of no reason why a pair of twins would not be considered two individual persons. Nor how their possession of two hearts could be determined without killing one or both. Nor any justification for baptizing a dead person, unless it was not clear whether she was in fact dead. But then (of course) you provided no details about the when and where of your urban legend. 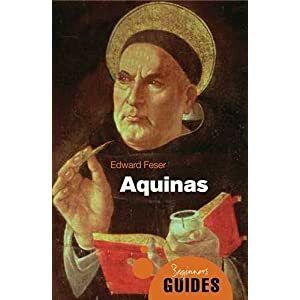 Thomist philosophers–Feser included–have done a lot of work comparing neuroscience to Aquinas. I won’t hijack the discussion, though. If you’re curious, I recommend the articles Feser has written on his blog: http://edwardfeser.blogspot.com/2012/03/scruton-on-neuroenvy.html (he links to others in that piece). The Thomistic soul and the neuroscientific brain don’t seem to contradict each other at all. Itâ€™s what Hawking is getting at that is important. Yes, it’s the concept which is important; not the words used. Some people are in it for the word games though. rank sophist is arguing form over substance. Yet there is. I pointed out one experiment that tested at least a subset. I might point out there is NO way to test yours but you don’t have to, n’est-ce pas? I notice you ducked the questions on whether information is acquired and, if it is, how you think it is acquired. I assume you think information is acquired and at least some of it is acquired through the senses because otherwise your presence here is a strange mental aberration. You read (or perhaps hear or feel?) the posts and respond — presumably to collect and pass information although I’m beginning to wonder at that motivation. Surely, that must come under your definition of “observation”. So, assuming your mental aberrations are of the more or less normal variety, you must believe information can be transferred through the senses even if you don’t consider your own actions proof of that. Oh! But wait! You can doubt you are really doing that. Yet there is. I pointed out one experiment that tested at least a subset. I might point out there is NO way to test yours but you donâ€™t have to, nâ€™est-ce pas? Do you have a reading disability? Seriously. No joke. Who ducked what? I said that you begged the question–which you did. I have no need to respond to fallacies. Empiricists believe that sense data is the only knowledge; rationalists believe that logical laws are present in the human mind from the start. Aristotelians and Thomists, like me, believe in something roughly like a combination of these two views. But, like Parmenides or Descartes, I could doubt the existence of the outside world without contradiction. I assume you think information is acquired and at least some of it is acquired through the senses because otherwise your presence here is a strange mental aberration. You read (or perhaps hear or feel?) the posts and respond â€” presumably to collect and pass information although Iâ€™m beginning to wonder at that motivation. You seem to be incredibly bad at understanding my posts, so here’s the short version. Yes, itâ€™s the concept which is important; not the words used. Some people are in it for the word games though. rank sophist is arguing form over substance. This is rich. So, a logically contradictory position is worthwhile even though it’s blatantly false? It doesn’t matter that it’s incoherent–anyone who argues along those lines isn’t interested in ideas, only word games! You kill me. I have come to the conclusion that you do indeed have a reading disability. I think it would be cruel to argue with you further. Unless you suddenly have a miraculous recovery, that is. Then yes, technically speaking, to ask ANY question is to assume a truth in the first place. Thus, even to say â€œWhat is truthâ€ is (in a sense) begging the question. Thus, if you want to reject truth, and avoid begging the question, then you must reject all questions forever more. Why does everything that exists or begins to exist have a cause? I’m glad to hear that I’m not the only one who’s had problems with DAV. Sounds like he really doesn’t understand philosophy at all–kind of explains why he didn’t get what I was saying. No, he and Luis really don’t understand philosophy. But they think they do, which is what makes their posts even more hilarious yet sad. interestingly if two models exist that both agree with observation equally well, there apparently is a faculty at work that can be the judge of this. Since both models are not deemed real in the first place (just complex ideas), the faculty by which we give of the above judgment necessarily transcends any of the two models. What is more: the assertion itself immediately reintroduces the notion of reality in science, by stating the equal fitness of both models, if only because we are asked to believe that it is so. (or model-dependent realism itself is just a convenience, which is probably closer to the truth). Anyway, Hawking inadvertently shows us something important: what is real is determined by reason and nothing else. Hawking inadvertently shows us something important: what is real is determined by reason and nothing else. Hawking actually said it’s the determination of what we consider real. From our internal viewpoint there may be no practical distinction. When you think of a thing, the mind constructs a representation of the thing, and is not using the form of a thing. Consider thinking about a new kind of thing, which does not exist yet, say a starship engine whichnis capable of faster-than-light travel. As you do not know how such a starship engine operates you are clearly not using the form of an FTL starship engine. If you were using the form of a FTL starship you would know how it worked, because a nonworking FTL starship engine is not a FTL starship engine, and it would not have the form of a FTL starship engine. With representations there is no such problem, representations can be used by a mind operating in a marial, and representations can be incomplete. When you think of a thing, the mind constructs a representation of the thing, and is not using the form of a thing. Of course the mind constructs a representation of the thing, but guided by reason grasping the universal form, otherwise it would be constructing nonsense. I will try to give it a shot. Consider dogs. We learn to grasp the universal form dog, not from observation directly, but by reason. Now you think this must mean that we immediately fully understand dogs, which is obviously not the case. This is a misunderstanding, for we need to understand a host of other things too, for instance that dogs are mammals, that dogs do not sweat etc. these things do not depend on the universal form â€œdogâ€. I can draw a dog, and you will understand it as such, regardless of biological details. Or I can make a few movements and you will recognize them as well as being â€œdoggishâ€. An artist can be just as knowledgeable with regard to the universal form â€œdogâ€ as a biologist. That’s how I understand it. The form concept is part of a given metaphysical theory. There are alternaive theories. Like saying that all things can be put in a multidimensional state space, a very fancy way of saying that things have a number of attributes. The attributes have different possible values, some discrete, some continuous. Saying that different things are similar is then equivalent of saying that their attributes are almost identical. Put a lot of different things in that state space and you see lots of groupings, and groupings of groupings. Cats and dogs, tables and chairs, houses and barns, cows and chickens, cars and bicycles, trains and planes, lettice and mushrooms, oaks and pines, beech and strawberry plants, whatever. Now, if people build a new house, is it a house because because of a kind of houseness, or because it is build just like the ones the people build earlier? And what if they invented something new, like a chimney. Or a patio? What happens in the state space is a new attribute being added to an existing group of things, or that a new attribute has been invented, like the chimney, or discvered, like DNA. Nothing fancy, true, but it explains the groupings as well as the form concept. Without needing all kinds of metaphysical scaffolding to keep it together. And without the need trying to disprove a methaphysics that is created to be consistent, and not created to be true. If I understand you correctly, the question you put is this: could it not just be that the attributes of an object constitute itÂ´s identity? And if so, do we need form at all? Well, consider a house. A house is the place where you live, where you are at home. There really does not exist a universal form Â¨houseÂ¨ that looks like a house. It does not bear any resemblance to houses that we see with our eyes. Children understand these thing much better than grownups. A child may put a handkerchief over a doll and declare that the doll is now Â¨in the houseÂ¨. What we call universal form Â¨houseÂ¨ is akin to the gesture of being sheltered that the child expresses. I need just four lines to draw a house and my son will recognize it, because it shows the correct gesture (cannot draw it here, but I think you catch my drift). Now identifying things through their attributes will take you there. Does it have a door? (you must be able to enter). Does it have walls? (A house surrounds you, it has an Â¨insideÂ¨), Does it have a roof? (a house provides shelter). If all three questions are answered with a yes, almost everybody will exclaim: It is a house! If you acknowledge that these three attributes merge into an intuitive whole, the universal form Â¨houseÂ¨ presents itself to you. I suppose this is the nucleus, although more things can be added. Do you understand why children are so fond of chimneys when they draw a house? Because it expresses the warmth that is in the house. A house is also a place where you warm yourself. I hope this exercise is intelligible to you. I tried to think about it more intimately than before in the hope to understand it better myself. I think it helps. If lots of currently living people recognize a house that way, it only shows that people are able to recognize the commonalities of the the local (both in time and in place) houses. It does not follow that there is some form of houses, something that makes a pile of matter a house. The form theory says that without a house form there are no such things as houses. I say that house is just a way of grouping certain buildings where people live. I say that house is just a way of grouping certain buildings where people live. You could say that, but the grouping is done by human beings through an identity concept that the Thomists call a form. This identity concept is individualized according to “time and place” as you call it. This results in me having a particular idea of a house and you having another. There is however a universal aspect to your idea as there is to mine, which allow them to both be ideas of a house, yet be different at the same time. Even if you were a pygmy. If I were to ask you, what assures you that your idea of a house is adequate? Can the idea itself inform you about itâ€™s adequacy? Can going out and observing an actual house help you? I would say no. How do you know for instance that this actual house is suitable for the purpose? You have to appeal to something that transcends both the idea of a house that you happen to have at this moment and the actual house that you are probably seeing right now. You have to resort to reason, to thinking. You need to intuitively make an appeal to something universal and rebuild your idea. A house is suitable fir its purpose if people can live in it. Which means westeners won’t be able to live in a house made of wooden branches like some African people are still making, an the same Africans will have a hard time in the tents people in Siberia use. See, your son might be able to recognize a western styled house, but he won’t recognize houses created by people with different backgrounds. People used to live in cages, and most of the time they had to live at lots of places to be able to find enough food. Hard to find it reasonable that all these people would think of a house in the same way we do. Worse, they would call something a house that we would not a house al all. We would call a cave a cave, a place unsuitable for humans to live in So there you have it, the same thing having two incompatible forms. Which is not possible. So forms do not exist. The state space groupings do not have that problem, as a grouping is just a way of looking at relevant attributes ( a projection, in math speak). You group the objects in a way that is relevant to you. If somebody else has a different way of grouping things, that is fine too. you said: Hard to find it reasonable that all these people would think of a house in the same way we do. Well, indeed and I said as much. They do not have the same idea obviously. You said: Worse, they would call something a house that we would not a house al all. Donâ€™t get hung up on that. We would understand that the unfamiliar construction is what they regard to be their house. You said: See, your son might be able to recognize a western styled house, but he wonâ€™t recognize houses created by people with different backgrounds. Well, he would, but it would be necessary for him to see people around them going in and out. You said: So there you have it, the same thing having two incompatible forms. Which is not possible. So forms do not exist. Well, it is possible. My wife has a hat, which also serves as a bag. It has a shape that allows it to be used in different ways. What I have been saying is that there is something universal in the shape of a house, however different they may be. You cannot define it mathematically I think, but you can define the gesture. This gesture however must also relate to me or to someone who is not a part of the structure. You really canâ€™t narrow down the universal form house to the commonalities of a certain group of buildings. You said: We would call a cave a cave, a place unsuitable for humans to live in. Yes, indeed. But if some hermit would be living there, we would call it his house. The cave makes the correct gesture relative to someone who resides there, who is at home there. Of course universal forms relate rather loosely to the kind of objects we have been discussing. If my son keeps an insect in a matchbox, the matchbox is the house of the insect. It is all very dynamic when it comes to universals, even a little box can be a house. Picture-thinking does not suffice. Making things more and more abstract isn’t going to work because the concept then means less and less. Forms are about essentials. Something is only something because it must have that attribute. If it does not have that attribute it isn’t an instantiation of that particular, universal form. Now, for some people a house must have an attribute to make it *the* place to live in. Let’s say the house must be able to be movable rather quikly an hour or two. For other people, it is essential that a house stays exactly where it is. Both peoples would regards the other people’s houses as not being houses. The things are certainly able to support them staying there, but neither people can live there as they will see fit. This means the house form is not a universal, in the form theory. Because what is essential and what is not differs among people. My suggestion was simply that entrance, walls and roof are probably universal and will in any particular instantiation constitute either a possible or actual house. This complicates the matter since the presence of a person is required to turn a mere structure into an actual house. The identity concept house cannot be attributed to the physical thing alone, a resident is required. You could perhaps say that a house is just a structure that serves as a house (dwelling, home, etc), But the service it offers is in essence pretty much universal I think and that will be reflected in shared attributes. You wrote: This means the house form is not a universal, in the form theory. Because what is essential and what is not differs among people. I would say that is correct, but there is overlap. For instance, can you imagine that there are people who do not think of their houses as shelters or effectively use it that way? That is pretty essential I think. More importantly, can you imagine anyone regarding their homes to be proper houses when this is not the case? Do you accept the form theory for other objects like triangles? If form theory doesn’t work for houses, it doesn’t work for triangles either. Take a triangle on a ball. There is a corner on a pole, and two on the equator. Now move one of the equator angles to be exactly on the opposite side of the ball. The triangle has now vanished because the angle on the pole has become a great circle. But if the angle at the pole is an infinitisemal amount different from 180 degrees, it is still a triangle. That difference can be made smaller than what you can measure. An animal has a form which is the soul that enlivens the animal matter of bones and flesh. Likewise a house has a form which enlivens it which is the practice of living. There cannot be an animal which is not a specific animal, likewise there cannot be a practice of living as such. There are different kinds of living just as there are different kinds of animal forms. So the right approach seems to be to regard the house as matter, not as form. It does have a form of its own, but that form does not make it a house, but merely a certain type of building. If we try to generalize *this* form we arrive at an uninformative abstraction that feels very un-Aristotelian. Thanks Sander for your perseverance, I will now stop cluttering this blog. Better learn the difference between natural substance and accidental unit aor artifact. Yes, DAV (as well as Luis) are an apt demonstration of the insanity and mental problems that arise from cognitive dissonance. It’s always nice to be insulted. Next Next post: Unleash The Giant Puppets!